Home Costs > How Much Does it Cost to Connect to a Public Sewer? How Much Does it Cost to Connect to a Public Sewer? 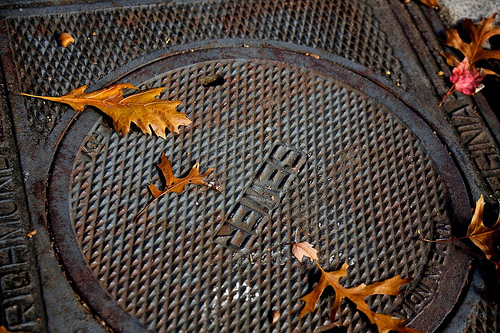 Sewers are shared wastewater treatment systems that are provided, owned and maintained by the city or town you live in. If available, homes can connect to this system to flush wastewater from their homes to a central treatment facility via this sewer system. Connecting to a city sewer system means you won’t have to install a septic tank system, but, like most things in life, it will come at a cost. How much does it cost to tie into a public sewer? The hookup fees to the city sewer can cost a lot because the city or town providing the system needs to get back some of the costs of running sewer lines to your area. Fees, across the United States, at least according to what we researched, could cost anywhere from $2,000 to more than $8,000+ for only the connection fees. These fees, remember, will be the connection fees only and won’t include the plumber who you will need later in order to connect to the new sewer connection. Private plumbing costs need to be paid to the contractor who will handle connecting your house to the city sewer branch at your property line, which, depending on the distance and complexity of the job, could range anywhere from $1,500 to $5,000, bringing the grand total to $3,500 to $13,000+. Since all jobs are so unique, we highly consider using HomeAdvisor.com to get multiple quotes for free from reputable plumbers in your area. In the City of Portland, Oregon, for example, the city sewer connection charges include sewer line charges at $1.39 per assessable square foot of property, based on the area within 100 feet of the sewer line; the branch charges $5,059 per branch and the sewer system development charges $4,335 for a single-family residence. In New Hampshire, the one-time hookup fee for a single family detached residential structure is $2,325, plus a $50 application fee for a residential use. In San Diego County, a one-time connection capacity fee can be anywhere from $1,000 to $4,000 for locations within 100 feet of a public sewer main. According to a forum thread on Trulia.com, those who answered the thread said they had paid anywhere from $2,000 to as much as $10,000 for the hookup fees alone. Some even claimed that local townships and cities made it mandatory to hook up when purchasing a new home. On City-data.com, a forum member had said his brother was quoted $4,000 to trench a new sewer pipe from the house to the street and another $4,500 as a capital recovery fee. The estimates mentioned above should include the one-time hookup fee to the city sewer. However, this connection is only done at the end which connects to the actual sewer and provides a branch to your home where your sewer system can connect. The city sewer hookup will not include connecting your actual pipes to the branch. Connecting to a sewer, regardless of where you live, will be a similar process. It will typically involve the application process, permits, hiring a contract to install the lines to your residence, trenching the sewer line, inspections and filling the trench line. City permits and an inspection will be required as mentioned above and will often be considered another expense. If the inspection doesn’t pass and more work needs to be done, this will also be an additional cost to consider. Once connected, it doesn’t end there as there will be monthly, quarterly or annual fees, depending on how the city bills. Most annual fees, depending on where you reside, can be charged as a flat rate or by the amount of water being used by the household. Charges, again, depending on these factors, can range anywhere from $600 to more than $3,000 per year. Once the sewer work is finished, your yard will be torn up, and landscaping should be factored in as well. Homeowners who meet certain income requirements may qualify for state programs or special loans. For example, a five percent interest loan, with a deferred payment option, is available for qualifying low-income homeowners in Portland, Oregon. Check with your local state to see if you can qualify for any payment assistance programs.